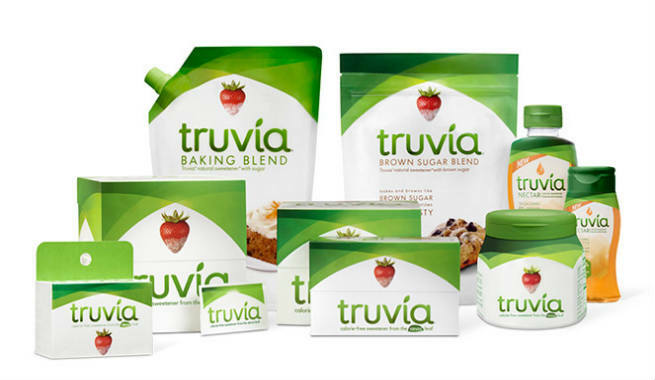 Unveil The Truth Behind Truvia: Is It Really Healthy? 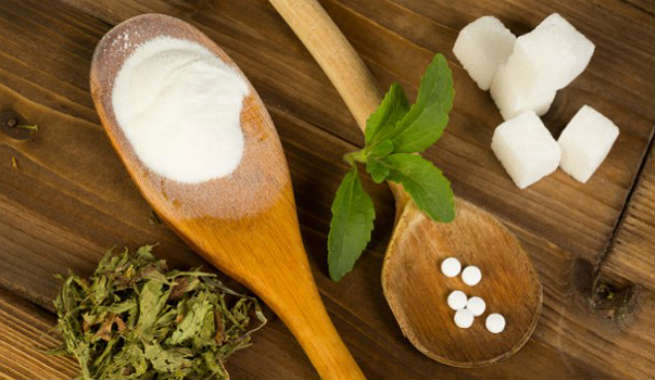 As more and more people are replacing regular sugar in their diet with artificial sweeteners, tons of new sugar substitutes are being introduced in the market every day by various companies. 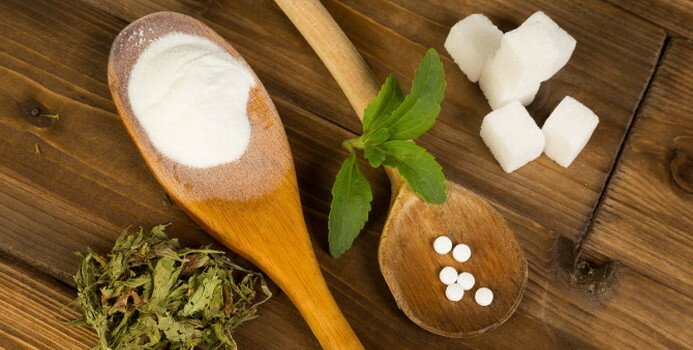 Truvia is one of such products that claim to be natural sweeteners and hence, are believed to help us keep our blood sugar levels under control. However the question is, does Truvia really work? Let’s find the answer through this post, which is all about unveiling the truth behind Truvia. ‘Truvia’ is the brand name of a sugar substitute, which is manufactured jointly by the Cargill Company and the Coca-Cola Company, two biggies in the worldwide food industry. It was launched back in 2008 and has been marketed as a ‘zero-calorie all-natural sweetener’. It looks exactly like regular table sugar and tastes almost the same. According to the official website of Truvia, the product is basically made of three ingredients: the leaf extract of the Stevia plant, the fermented sugar alcohol Erythritol, and natural flavors (not clarified). 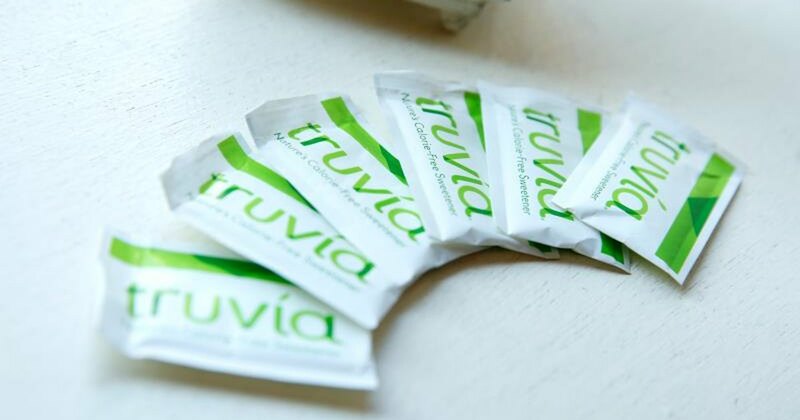 Truvia is known to be the ‘second best-selling sweetener in the US’ as of now. Erythritol: This sugar alcohol, prepared through the processing of ‘genetically modified corn’, is the primary ingredient of Truvia. It is calorie-free and doesn’t get metabolized in our body. Though Erythritol is mostly absorbed by our cells, it goes out of the body through urination and doesn’t affect our blood sugar levels. However, large dose of sugar alcohol might cause side effects like upset stomach, abdominal gas, bloating, cramping, diarrhea, etc. Rebaudioside A: Truvia contains only 0.5% of Rebaudioside A, which is derived from the Stevia plant by isolating the molecules from its sweetest part called ‘Rebiana’. It is almost 400 times sweeter than table sugar, but being present in a very small quantity in Truvia, it doesn’t taste that sweet. Natural Flavors: Although the Truvia website mentions ‘natural flavors’ as the third component of the product, no proper clarification is there. 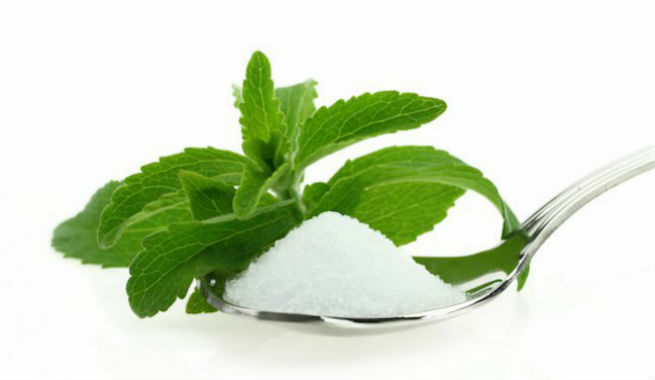 There is a huge misconception that Truvia and Stevia are nothing but same substances. Before proceeding with the pros and cons of the product, the idea should be made clear. Even though Truvia is advertised and marketed as a ‘stevia-based sugar substitute’, it actually has ‘less than half a percent of stevia content’. It is a highly processed sweetener with 99.9% of pure erythritol, which bears no resemblance in taste to stevia. The tiny amount of rebaudioside A present in Truvia also comes in a purified form, which imparts no positive effects on our health in any way. Is Truvia Good For Health? Erythritol, the main component of Truvia, is basically a sugar alcohol, which is nothing but a ‘hybrid of carbohydrate and alcohol’. It is prepared by processing corn into starch, fermenting it with yeast, and purifying the broth into crystals. The unique molecular structure of erythritol makes it a substance with no calories (only 0.24 calories/gram), no toxicity and no harmful metabolic effects like regular sugar. In short, this ingredient is safer and healthier than sugar. Being an almost zero-calorie sweetener, Truvia causes no significant weight gain in humans. Moreover, it does not have any negative effects on different biomarkers like blood sugar levels, insulin, cholesterol levels, triglyceride levels, and so on. Even though Truvia is not that toxic, it should be consumed in moderation. A number of studies have revealed that using too much Truvia in regular diet can lead to quite a few adverse effects, such as digestive distress, noisy stomach churning, diarrhea, cramping, bloating, abdominal gas, etc. The claim of Truvia being an ‘all-natural sweetener’ seems too good to be true. According to sources, ‘Rebiana’ is dissolved into some chemical solvents before adding to erythritol and the entire process of preparing Truvia takes as many as 42 steps. Needless to say, it is a highly processed product. The ‘natural flavors’ used in Truvia are also not defined on the label of the product. It is not disclosed by the manufacturer that how the flavors are created and whether they are really ‘natural’ or not. The ‘mystery’ makes us believe that the term ‘natural flavors’ actually indicates ‘an assortment of chemical compounds’ that duplicates a natural flavor chemically. In a nutshell, Truvia can act as a better alternative to table sugar if used wisely. It is neither a natural product nor completely safe to use. As we don’t know the name and quantity of the chemicals added during its processing, we can’t consider it as a 100% safe sugar substitute. Therefore, always take it in limited amounts so that you do not end up affecting your health.